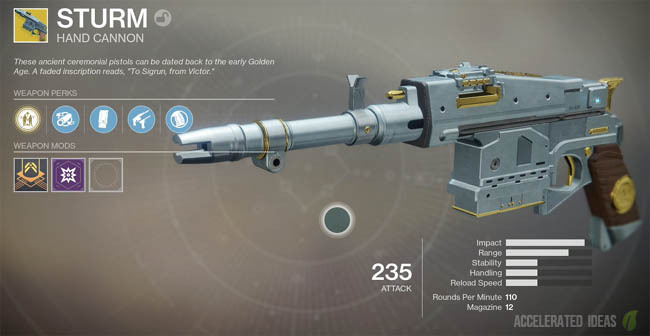 Sturm is one of Destiny 2's exotic Hand Cannon weapons and players can earn this Kinetic weapon through an exotic quest which starts with "O Captain" on Nessus. The exotic weapon comes with a neat "set perk" which makes it even more valuable when used alongside Drang. 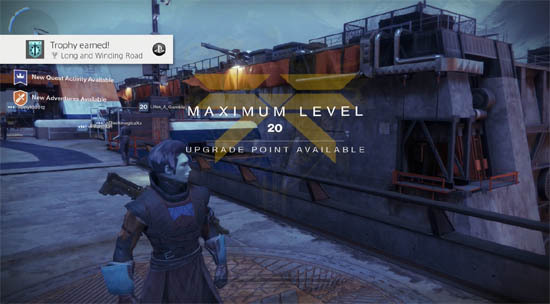 Before you have any chance of starting the exotic quest, you must complete the entire campaign story. Only then will a secret destination unlock and new options become available from NPC's throughout the game. Known as World Quests, these sequential missions have some great rewards as you'll discover. Speak to the NPC AI known as Failsafe, who you've encountered throughout your travels on Nessus. She is located on the Exodus Black, the giant ship which is close to the initial Fast Travel point on Nessus. After completing the story mission, Failsafe now has a new World Quests called "O Captain". Collect the quest from her and starting tracking it from the Director. This is a sequential exotic quests with several steps so pay attention to the lists below. 1. 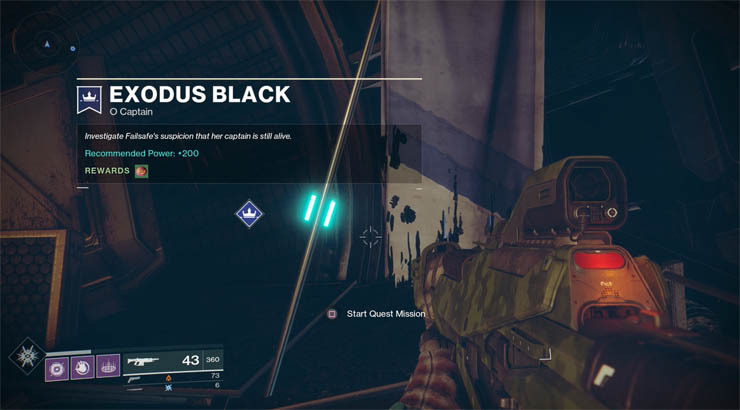 Complete "O Captain" and "My Captain"
Two related quests that start with you locating Failsafes old crew on Nessus. 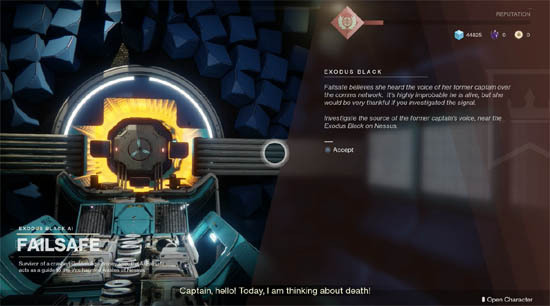 Aftering finding all four audio logs from the crew, which are all located fairly close to the ship hub, you move onto classic Destiny challenges such as a small jump puzzle, defending the area and a final BOSS fight. There are plenty of Vex to fight through on these quests so go prepared. Once complete you should be rewarded with the "Drang" weapon, which as mentioned above has a special relationship with Sturm. Along with Drang a mysterious sheet of paper, simply called "Kinetic Weapon" is added to your inventory. Bring the new mystery item to the master decryptor and he'll explain a little about "Relics of the Golden Age". 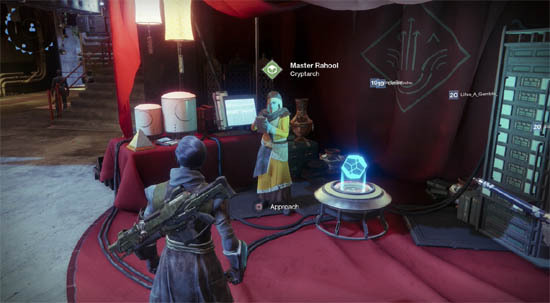 Now is the time to complete additional tasks for Rahool so he can decrypt the paper for you. Decrypt five legendary engrams (legendary engram rewards from vendors still count). Kill 10 Fallen enemies on Nessus using the Drang sidearm. For the above two tasks, I recommend farming a Fallen Public Event such as Ether Resupply on Nessus. The powerful Fallen objective does take quite a while so stick with it. Once done, return to Tyra Khan to refresh the objective one final time. 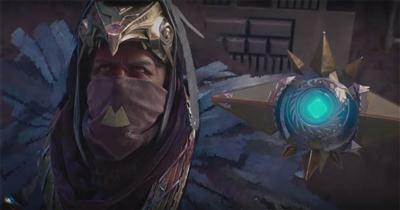 For the final part of this exotic quest, you must return to Nessus and complete the Exodus Crash quest with a fireteam or solo, destroying the Servitor Kendriks-7. It's not a hard quest, you've already done far harder things getting here. Once the subtasks are complete, head back to Kyra at the farm and she'll offer the Sturm weapon in return for your efforts. Enjoy!! Accomplice - Kills With this weapon fill the magazine of your equipped energy weapon (uses ammo reserves). Extended Barrel - Increased range, decreased handling speed. Extended Mag - Larger magazine but slower reload. Storm and Distress - Kills with Drang (legendary sidearm) grant bonus precision damage. Combat Grip - Less vertical recoil, increased stability.